1. Try, Assay, Attempt, Essay, Seek : کوشش کرنا : (verb) make an effort or attempt. Do not try to put me off. 2. Try, Attempt, Effort, Endeavor, Endeavour : اقدام - کوشش : (noun) earnest and conscientious activity intended to do or accomplish something. She gave it a good try. 3. 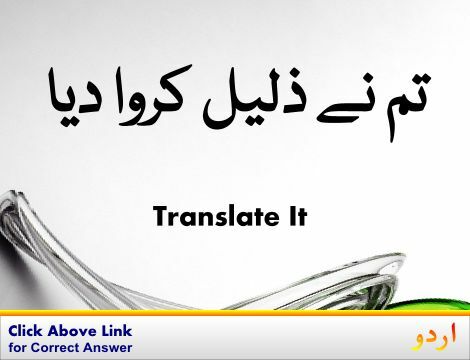 Try, Try On : پہن کر آزمانا : (verb) put on a garment in order to see whether it fits and looks nice. Try on this sweater to see how it looks. Assume, Don, Get Into, Put On, Wear - put clothing on one`s body. 4. Try, Essay, Examine, Prove, Test, Try Out : امتحان لینا - آزمائش کرنا : (verb) put to the test, as for its quality, or give experimental use to. 5. Try, Adjudicate, Judge : سماعت - مقدمہ چلانا : (verb) put on trial or hear a case and sit as the judge at the trial of. Decide, Determine, Make Up One's Mind - reach, make, or come to a decision about something. 6. Try, Sample, Taste, Try Out : چکھنا : (verb) take a sample of. 7. 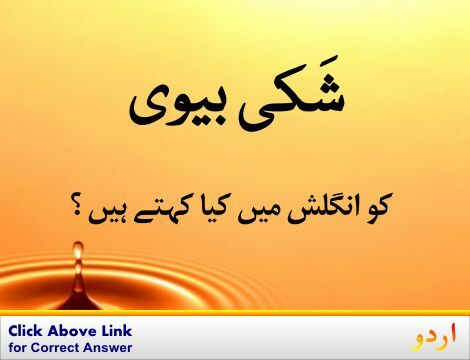 Try, Hear : شنوائی کرنا - مقدمہ سننا : (verb) examine or hear (evidence or a case) by judicial process. Rehear, Retry - hear or try a court case anew. 8. 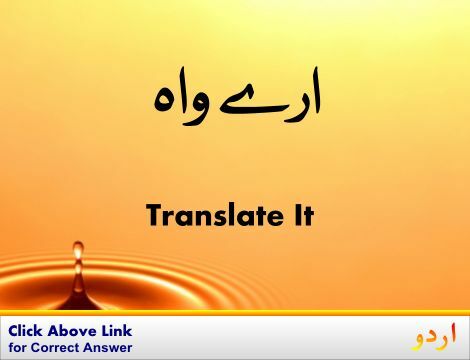 Try : تکلیف دینا : (verb) give pain or trouble to. Anguish, Hurt, Pain - cause emotional anguish or make miserable. Try For : کوئی چیز پانے کی کوشش کرنا : make an attempt at achieving something. Trustingness : اعتبار : the trait of believing in the honesty and reliability of others. How this page explains Try ? It helps you understand the word Try with comprehensive detail, no other web page in our knowledge can explain Try better than this page. 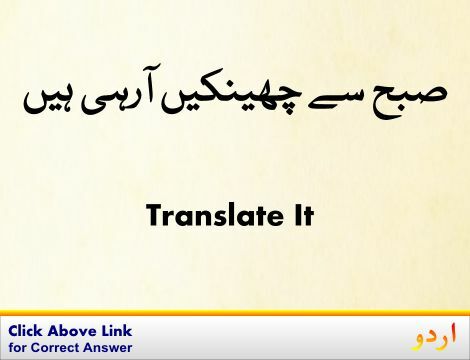 The page not only provides Urdu meaning of Try but also gives extensive definition in English language. The definition of Try is followed by practically usable example sentences which allow you to construct you own sentences based on it. You can also find multiple synonyms or similar words on the right of Try. All of this may seem less if you are unable to learn exact pronunciation of Try, so we have embedded mp3 recording of native Englishman, simply click on speaker icon and listen how English speaking people pronounce Try. We hope this page has helped you understand Try in detail, if you find any mistake on this page, please keep in mind that no human being can be perfect.